Last week there was quite the stir around Bradford West – the seat currently held by Respect MP George Galloway. After being selected only four days prior, Amina Ali announced on Wednesday she would be stepping down as Labour’s candidate, saying that she didn’t want to relocate her children from London. Following this, the party re-opened the women-only application process, which closed on Friday. Candidates were interviewed by the National Executive Committee this morning and the new candidate has now been announced as Naz Shah. We understand Shah had finished second to Ali in the constituency members’ vote last week. Shah, unlike Ali, seems to be a Bradford resident, hopefully meaning a re-run of last week’s events is unlikely. Shah will need to overturn a majority of 10,140. LabourList understands that the other candidates on the shortlist were: Saima Tabbassum, Navveda Ikram, and Nazrin Ali. 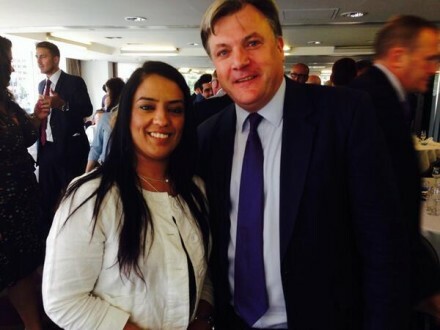 Congratulations to Naz Shah and commiserations to the unsuccessful candidates.